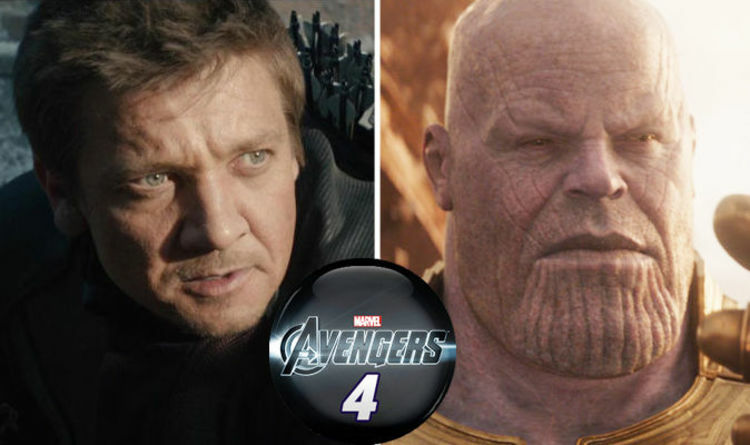 The 47-year-old did not appear at all in Avengers: Infinity War, but is confirmed to have shot scenes for next year’s sequel. He missed a great deal: Thanos collected all six Infinity Stones and proceeded to wipe out 50% of all living things across the universe. What this has meant for Hawkeye – and indeed his family – remains to be seen. But late last week Renner ushered in the weekend with a black-and-white selfie on Instagram, with some hashtags designed to up the anticipation for his return. He wrote: “Day is done! It’s Friday … enjoy your weekend everyone. Hawkeye has featured in many fan theories about the new film, with several suggesting that perhaps his family – including wife Laura Barton, played by Linda Cardellini – fell victim to the Snap. It would certainly give him huge motivation to help the fightback against Thanos, but we still have seven months to go before we find out the truth. Co-director Joe Russo recently teased what’s to come for Hawkeye, aka Clint Barton, after he skipped all of Infinity War while he was under house arrest. “We sat down and we found a way to work everybody in – but we have two movies that we’re working with,” he told Radio Times. Paul Rudd’s Ant-Man – also under house arrest after Captain America: Civil War – was similarly missing from Infinity War, and in Ant-Man and the Wasp viewers saw him becoming stuck in the Quantum Realm. Rudd, too, is expected to pop up in Avengers 4, alongside Brie Larson’s Captain Marvel – who will be introduced with her own 1990s-set movie in March. Avengers 4 is undergoing reshoots this autumn, with Mark Ruffalo revealing its ending isn’t even set in stone just yet. Whatever the Russo brothers decide on, it’s highly likely that the as-yet-untitled film will be one of the biggest of 2019.